The UNH STEM Teachers' Collaborative along with the STEM Discovery Lab are proud to be a Code.org Regional Partner. We are a Group 3 Partner, which means that we are in our first year of providing no-cost professional development for K-12 teachers in Code.org's award winning computer science curricula. 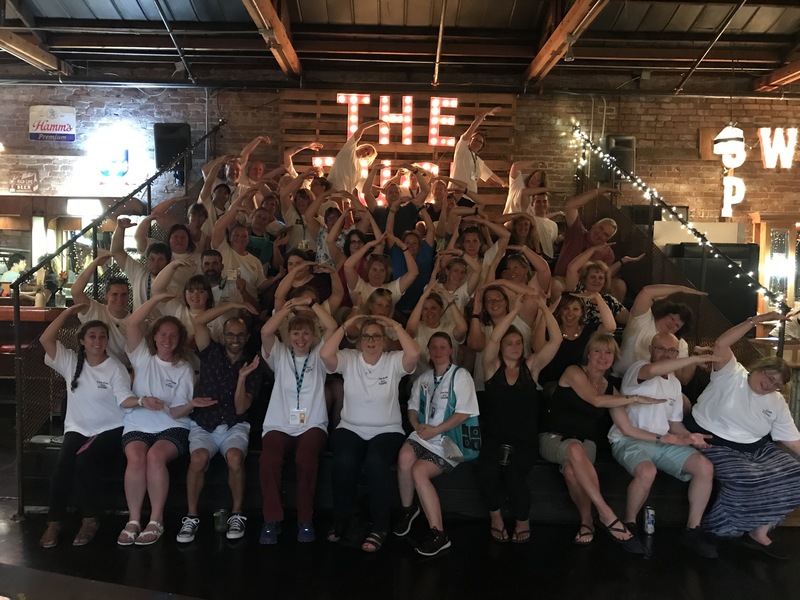 During the summer of 2018, we sent nearly 60 New Hampshire teachers to TeacherCon in Phoenix, AZ, completely free of charge to them and to their school districts. TeacherCon is Code.org's premier 5-day professional development workshop that will kick off these teachers' first year of teaching the CS Discoveries (grades 6-10) or CS Principles (grades 9-12) program. 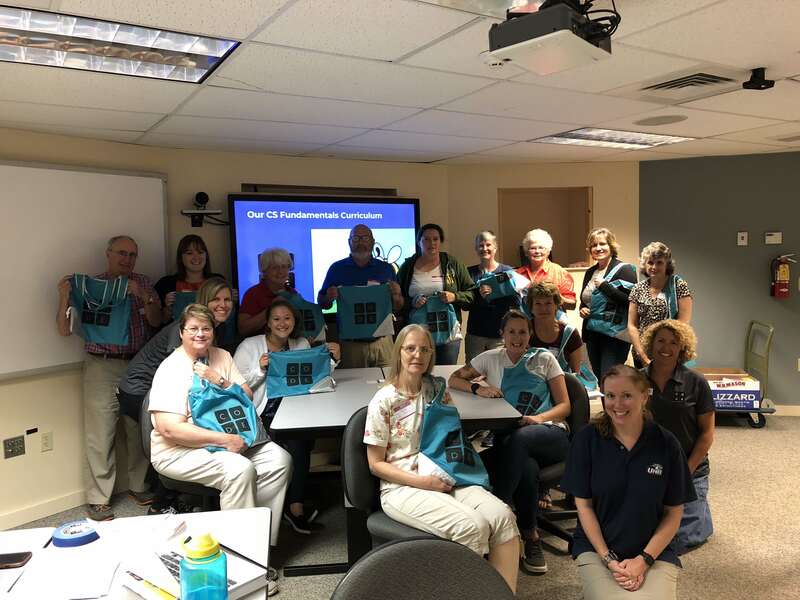 During the 2018-19 school year, this first fantastic NH cohort are completing their 4 follow-up workshops. Check out their pic below! Calling all Middle School and High School Teachers! In addition to attending a five-day summer workshop for either CS Discoveries or CS Principles, the professional learning program includes up to 4 required one-day, in-person academic year workshops during the 2019-20 school year. The Code.org Professional Learning Program is a fun and engaging 9-day professional development experience that stretches the entire school year. We will be providing scholarships to all teachers who meet the scholarship requirements and are accepted to our 2019-2020 program. That means many teachers in our state are able to attend this professional learning program (valued at $3,000) at no cost to them or their school/district thanks to generous support from Code.org. Please note that teachers who do not meet the scholarship requirements, but meet the minimum program requirements and are accepted to our 2019-2020 program, are able to participate for a fee of $1,000 per teacher, which is a discount of over 66% off the national cost, again thanks to generous support from the sponsors above. The scholarship and/or program fee covers the full year-long program, including teaching materials, workshop supplies, 9 days of professional development, and breakfast and lunch during workshops. The curriculum, online student learning platform, and year-round support are available to all schools at no charge. Travel and lodging costs, either to the 5-day summer event or to the Academic Year workshops, are not covered. Our fantastic 2018-19 cohort in Phoenix! Stay tuned as more will be added soon!